Are you familiar with the Global Monumental Hand-Print Mural Project? It's a massively big project, conceived by the Tile Heritage Foundation, a non-profit organization dedicated to research and the preservation of ceramic surfaces. 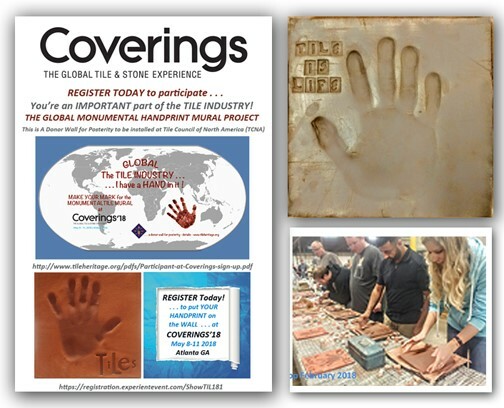 The mural honors all who participate in and contribute to the tile industry and supports Tile Heritage's vital tile industry archiving work.